KitGuru reported yesterday on the issues that many people were experiencing with the iPhone 4. Today Apple have confirmed that there are indeed problems with the phone which can cause call related problems, linked to pickup reception. The problems occur when the user touches two seams of the antenna band on the exterior of the shell at the same time, leading to the signal being dropped, sometimes entirely. In the midst of many forum thread discussions relating to the issues Apple released a statement to the press. 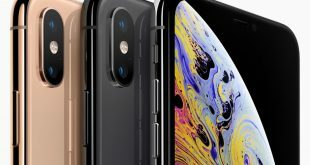 So far this statement has not been very positively received with one KitGuru reader telling us “Why the hell should I have to buy a case to use my new Apple iPhone? It is ridiculous, Apple should never have released this phone in the current state. No one told me you had to hold the phone in a specific way to get it to work right!”. Two antennas adorn the iPhone 4 and they are both built into the steel strip seen on the shell. The one on the right is for reception and the one on the left is for Bluetooth and Wi-fi. Logically the way you hold the phone will depend if you are left or right handed. KitGuru says: This could well become a major issue for Apple – the solution might actually be to start supplying a slim case with the iPhone.